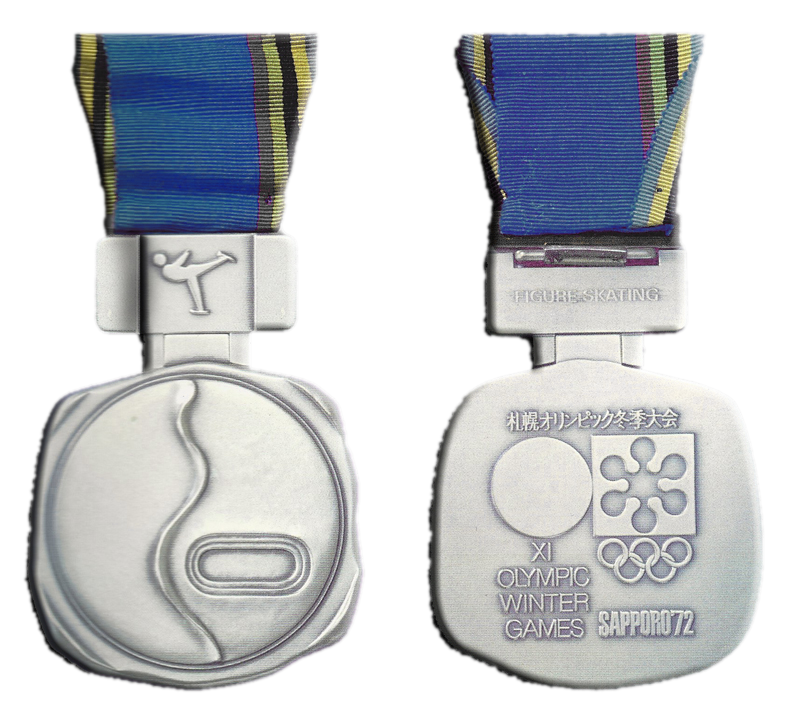 The medals from Sapporo represent the first move away from traditionally circular medals and the first non-round medals since 1900 when medals were rectangular. 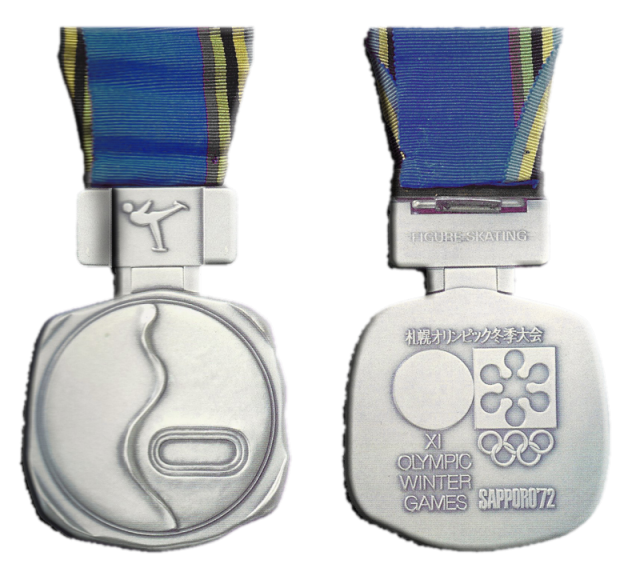 Obverse (front): Stylized “lines in the snow”, front of the connector features an icon of the sport. Reverse: Rising Sun, Snowflake logo, and Identifying text / pictographs.